It is funny how life changes or should I be saying how much I have changed! I was going through some of my old emails to my family. I came across this mail that spoke volumes about my fresh uptake on my first time experiences in NZ. To see the world for the first time is a sight so amazing. But to see the world with a fresh perspective is perhaps more refreshing. Many synonyms spring to my mind. Something akin to breathing mountain air after the onslaught of polluted city air. Or a feeling of the web of forgetfulness masking our eyes being dusted. Or wiping clean the dust off an old photo frame. My life is NZ is no doubt blissful, with me happily bustling about my daily activities, going places, to work and back, doing this and that and what not. But come to think of it, my life is punctuated with lashings of monotones, more than I dare to admit. But reading these old mails, made me pause and realise that I was so caught in the rut that I never stopped to reflect and appreciate the enthusiasm and energy of looking at things the first time round. Here are some excerpts of my email to my dear dad, mom and my sister. How r u guys? Long time since I wrote to you guys. Have been applying for jobs. Things are warming up. I am getting calls for interviews which surely is a good sign. Have given one interview so far which was okay! But I dont know how the results will turn out. On sunday – 16/9 , we went to this exotic place called Waikowhai park pronounced Wai – Ko – Fai. In maori if you see the alphabets w and h together make the fa sound! So we went there. It had wide spread vegetation with loads of native trees and plants encased in walkways leading to the beach front. On the edge of the beach near the cliff walls, one will find a dog exercise area where the dog owners can release their dogs from the leash and you can see them play in the water , running or fetching sticks with wild abandon. Then we suddenly come onto an area where you will find only pebbles that the area almost looks like white sand but it is actually sea shells strewn about. Unbelievable colors, shapes and formations makes me look at them with wonderment what with me having grown up in a coastal area and thinking there is nothing more different you can find about seashells. One needs to see them to believe what I am actually talking about. Then comes a huge rock along the coast where one can sit and watch the waves during a low tide. We then headed back to the parking lot. Near that was the park. Do i need to tell you further. The child in us made us go on the swings. We headed to this contraption near the play area that my cousin was grabbing and trying to do latch onto. I was observing quietly as to what it was. It was something new and I had never seen in my life and I waited with baited breath. And wheeeeeee………..!!!!!! she goes screaming to the other side. I ask her what it was. She tells me it was a “Flying Fox”. OK this is the part where you understand what it is. Two poles set on either side on a slope about 15 feet over the ground and gradually decreases height joined together with a cable. A metal rod is hung at the steep part with a seat kind of thing on it which is used to park ourselves and cling on to it. You grab on real tight and jump. This has a spring that can carry our weights and we go wheeeeeeeeee like on a cable car but with more speed and less protection. There is a rubber padding beneath it in case of mishaps. When you think Damn! I am gonna hit the pole is when you realise the other end of the string is padded with 4-5 tyres which brakes and stops you from hitting the pole. You feel like a child flushed with excitement and reckless to the point that we kept doing it until we got tired. After that we all drove down to the beach again. One good thing about these public places is you get a spot to sit with family like benches or picnic tables. We had come geared with lots of munchies which we snacked to our heart’s content and ofcourse had coffee. You know how Enid Blyton describes these picnics and adventures. My day felt like a day right out of her books – a fiction that became a dream that turned into reality. Then yesterday, Ram and I had gone to a place called Muriwai beach[Moo-ree-wai]. Muriwai gives one a feeling of being dwarfed by the magnificence of the sea. It is so vast one can only merely begin to imagine what might be on the other side. It is so huge that it keeps going on and on for such a distance – like they say in tamil – kannuku ettum dhooram varai. (which means to the extent of one’s eyesight). And the vantage points are so gr8 that you feel like you are standing on top of the world and observing the sea, its whole expanse with life thrumming below.Can you imagine the feeling?One feels like a tiny micro organism compared to the vastness of the water body. And to add to that splendor is the myriad shades of blue and greens on the sea. You turn away from the sea one finds ranges and trees and clouds and birds and hint of sun’s colors. The scene looks like something out of an oil painting. I know it is trivializing the beauty of nature to an oil painting but the point is such shades and beauty can be captured in an oil painting best. One other attraction are the gannets. They are white birds with a yellow head. The yellow part looks like someone put a dollop of yellow butter on their head that not only does it look yellowy soft but it is glossy as well.Along side below the vantage point are rock spaces where gazillions of these birds and their colonies can be found. July to November is the mating and hatching season. During this period one can actually see the birds’ behavior patterns. If two birds are putting their beaks together and rubbing their necks it is courtship. If one dives like an arrow southward to the ground they r jus going to grab their prey and so on. The young ones hatch in January and no one not even their parents teach them about hunting food or flying. The beauty about these birds are they have only 1 partner for life mostly. The male gannet flies around and gathers food while the female gannet sits with its webbed feet on the egg.No siblings or any future kids. One and only one egg for a lifetime for the couple. These birds come here to NZ for hatching and fly back to Australia once the young ones are born. And those young ones when they are probably 4-5 months old they fly to Australia (remember no one teaches them this) and when they have seen the world and had their adventure they come to the same rock looking for their mate.And the cycle begins. Isn’t it beautiful? After some gannet watching we went down to the cliff area where people can fish. You can find hoards of kilinjil here. Some rocks have holes and cave formations that when a huge wave hits the cave the water comes fountaining out of the hole. It looks like a geyser. Also something we will enjoy is the drumming sound created by waves when they hit the cave walls. After enjoying the spray of sea water for awhile we headed back feeling elated and dwarfed at the same time by the effect Muriwai beach had on us. And when the weather is good and sunny, you cant find a kiwi in the house.You will find them at the beach. Doing something. Not like us all sitting or walking in the beach. They swim, surf, snorkel, build sand castles, boating,fishing, gliding….you name it.they do it. it is almost considered a sin not doing anything in the beach.We saw so so so many surfers with their surf boards and them all going surfing and floating in the sea. Wow!It is a phenomenon to watch these things for real. After a bit of surf gazing, we stopped over near the car park on a picnic table and had snacks and coffee. This time we took some snacks as well. And we chatted for about an hour or so. By then all the snack also got digested. And no one leaves Muriwai beach without ice cream. I had hokey pokey. It is a vanilla based ice cream mixed with oodles of honey and butterscotch crisps. Yummiest ice cream ever. Ram had vanilla and boysenberry, perima had choco-nutty ice cream and peripa had passion fruit ice cream which is yellow and white in color. Then back home the journey was pretty much reveling on the ice cream and of course the beauty surrounding us. I missed you guys like crazy I almost felt guilty that I am so blessed to be enjoying all of this alone. But I pray to God that some day he gives me the privilege and strength to bring you guys here and enjoy it all together as a family and live our dreams that were held so close to our hearts. Love you guys so much. Missing you guys that the physical distance/void is almost as a physical pain or irritation. Job Hunt – Yes I got a full time job. Dogs on a leash – I want a dog quite badly, but now is not the right time. Probably when we move into a bigger and fenced house. Hmmm….to see that day. Watching the turning of the tides – Fortunately my husband and I have a love for long drives and walks by the sea. Nothing like a walk in Orewa and a coffee at a local cafe to recharge ourselves. I cherish these moments and not to forget our long talks about our dreams and aspirations. 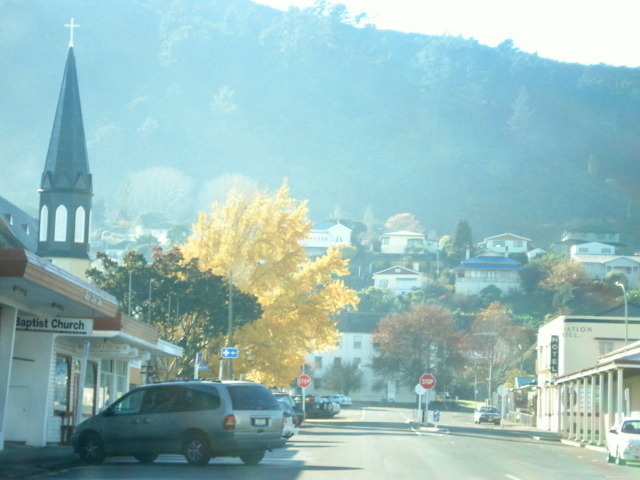 Flying Fox – In Waikowhai is broken. But our memory isn’t. A child from Enid Blyton’s books come alive – I think its thanks to my dearest hubby, he still has preserved that side of me. I think it’s good that he lets me be me … And oh.. 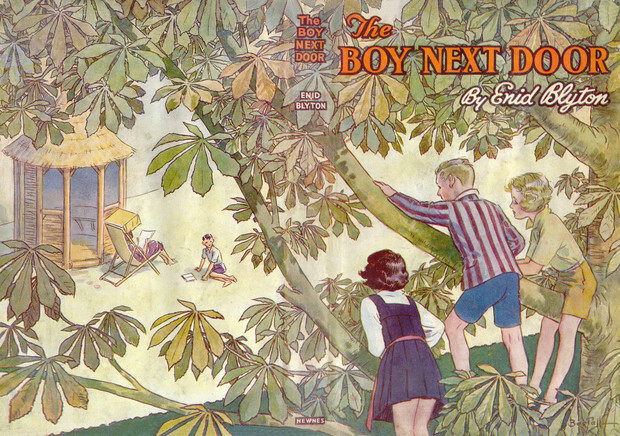 I recently purchased one of my most favourite Blyton novels -The Boy Next Door that introduced me to Mysteries and Adventure. This book still leaves me craving for more. Muriwai – Muriwai’s one of the entrances from the beach through cliffside is closed. Access to the Gannet colony is through the Maori Bay track. We have also found another breathtaking vantage point which we go to whenever we visit Muriwai. Gannets – I noticed recently that the gannets are coming more closer to the Kiwi border or hedging closer to it atleast. Wonder how they are going to be this winter! When the Sun’s out – I used to hate the sun back home, NZ has left me craving for more. And I have become more Kiwi this way not wanting to spend my day away from the glorious golden rays. For people visiting NZ during summer, do not underestimate the sun, do come geared with oodles of sunscreen, jandals and ofcourse your sunnies. Hokey Pokey – Hokey Pokey still remains my most favourite ice cream till today. However there has been a recent contender in the form of NZ Natural’s White Chocolate and Raspberry icecream. Ummm, heaven!!! Guilt of not sharing – Now I can really enjoy life guilt free as my parents, inlaws and my darling sister as well have been here. And we had a wonderful opportunity to share this Green Heaven on earth with our families. I am hoping to arrange a big reunion someday over here in NZ. Wow….that list is quite the height of the Waitakere ranges. My Season tree in front of my window is a silent witness of not just the seasons but my life as well. Will be back with more musings!